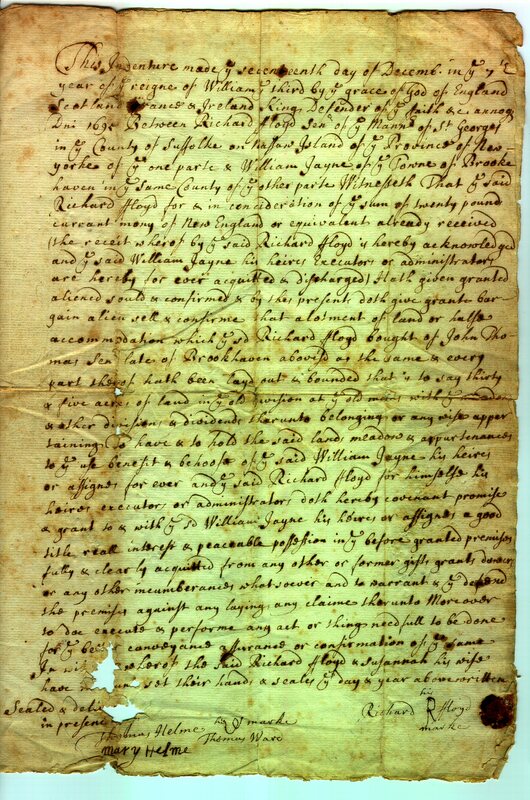 INDENTURE between Richard Floyd & William Jayne - 17 December 1695 Witnessed by Mary and Thomas Helme. Observation - This Indenture appears to have been written by Thomas Helme as there are similarities to his signature that appears at the bottom of the indenture as a witness. This Indenture image appears on this website through the courtesy of Margaret Davis, Gass, Miller Place historian.